THE Port Manager, Tin Can Island Port Complex (TCIPC), Babatunde Longe has described the ongoing Apapa gridlock as a major threat to economic activities at the port. Meanwhile, the Managing Director, Nigerian Ports Authority (NPA), Alhaji Sanusi Lamido Ado Bayero has directed that immediate temporary rehabilitation works should commence on the deplorable road network linking Apapa and Tin Can Island Ports. Speaking during the visit of NPA General Manager, Western Port, Chief Michael Ajayi, Longe said the gridlock along Apapa-Oshodi Expressway has slowed down operation activities at the port. He said the repair of the road should go beyond Tin Can Island Port, adding, “We expect government to come to our aid”. 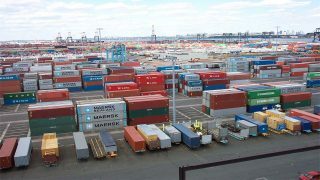 Speaking in a similar vein, the acting Port Manager of Lagos Ports Complex, Apapa, Abdulraman Lamina said the state of Wharf Road has reduced revenue from the port. He said: “The Wharf Road is unmotorable and it has affected the cargo dwell time at the port. Vehicles cannot take delivery and those that go into the port cannot come out because of the traffic”. After inspecting the failed section, Ajayi admitted that the roads leading into and out of the Apapa area have become a nightmare and a concern to all stakeholders. Ajayi said: “All stakeholders are groaning because they have no access to the port. Bayero gave the directive when receiving the members of Shipping Association of Nigeria (SAN) who paid him a courtesy visit at NPA Corporate Headquarters in Marina, Lagos State. The Managing Director who was reacting to updates made by Ajayi on the adverse effect of the road on the economic activities at the Ports in Lagos directed that the orders should be carried out immediately. He assured that the Authority will mobilise all her resources, both human and materials, to ensure that palliative maintenance work starts without further delay. 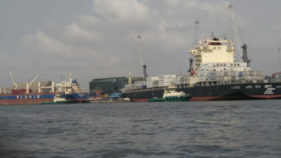 A statement issued by NPA’s Principal Manager, Public Affairs, Isa Suwaid, explained that Ajayi also updated stakeholders at the meeting that the management of the Authority had signed a Memorandum of Understanding( MOU) on the rehabilitation of the Liverpool round about and the creek road in Apapa. Ajayi implored other Federal Government agencies involved in road maintenance to see it as a common challenge and aligned with the management of NPA in making the Apapa wharf road motorable. 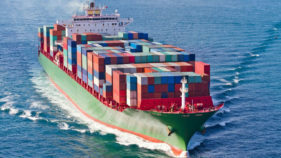 In his submission, the chairman, Shipping Association of Nigeria (SAN), Val Usifo on behalf of the association members assured the Managing Director of their corporation in addressing challenges facing the sector.